To get to the Little Yellow Banks canoe landing at St. Croix State Park, you first drive five miles of paved road from the highway to park headquarters. Then you drive another five miles of gravel road to the landing. By the time you get to the landing, you feel like the hustle and bustle of modern life is pretty far away. The river–wild, undeveloped, beautiful–does nothing to dispel that feeling. I left the Twin Cities last Thursday afternoon with my dog Lola and drove an hour-and-a-half north to the park. 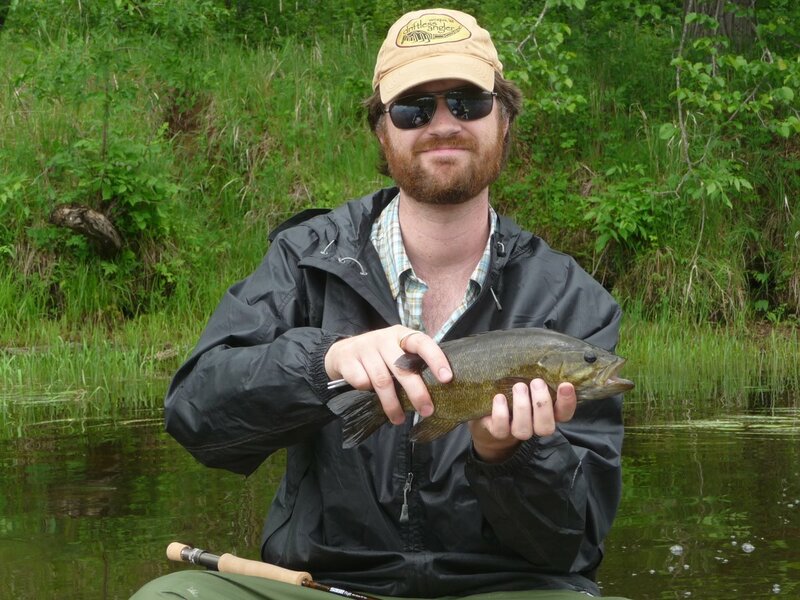 My buddies Eric and Gabe had spent the previous two nights in the Boundary Waters Canoe Area Wilderness and were going to meet me to camp that night and float a few miles of the St. Croix River in the morning and do a little fishing for smallmouth bass. At 34,000 acres, St. Croix State Park is Minnesota’s biggest state park. It contains 217 campsites, 127 miles of hiking trails, and large swaths of unbroken woods that are home to wolves and bears. When I finally arrived at Little Yellow Banks, it was about 4:00 p.m. 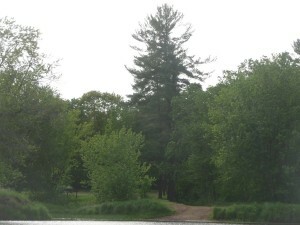 The landing is named after the tributary which joins the St. Croix at that spot. It was where, during the 1890s, a logging railroad dumped timber into the river to float down the river to mills downstream. Today, the backwater at the confluence is a quiet, remote place. And the Waldorf-Astoria Hotel of mosquitoes. 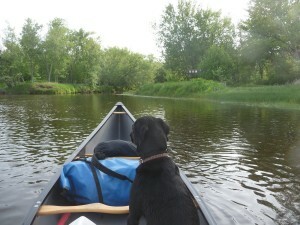 The dog and I had no interest in sitting around feeding malnourished insects, so we hopped in the canoe and pushed off into the river to wait for our companions. Away from shore, the mosquitoes subsided and I was able to really relax and soak in the silence and beauty of the river. When the other guys got there, we drove back out the five miles of gravel (spotting deer, grouse, and a fox), then a bit further down another one of the park’s long roads to the Sand Creek Landing. There, we left one car to spend the night, and we returned to Little Yellow Banks. The landing doubles as a campsite for river canoeists. We figured that we were within the guidelines, even though we hadn’t actually paddled up to the site, as we would be paddling away from it in the morning, and we parked our other car 100 yards up the road at the parking lot. Then, we set up the tents and otherwise made ourselves at home for the night. Once it got fully dark, the mosquitoes subsided but a more welcome insect appeared. The flickers of fireflies began to pop up around us. Some of them blinking on and off, others fading in and out. If you looked closely, you could perceive at least a couple different colors of luminescence. As we prepared dinner of New York Strips over the fire and couscous, a park ranger drove up and we talked fishing for a few minutes. He told us that in a night of fishing on the river, it’s possible to catch a sauger, catfish, smallmouth bass, northern pike, walleye, and maybe even a muskie. In the morning, I was hoping to get a fish or two on a new fly rod I had recently acquired. A heavier weight than my usual trout rod, it could cast in the wind of the open river and throw the big, non-aerodynamic flies that seem to sufficiently antagonize smallies to convince them to attack it. It rained most of the night, but we were warm and dry in our tents. It was just me and Lola and the hope that the rain would taper off by morning. It did, though when I crawled out of the tent, the skies still looked threatening. Weather worries quickly dissipated though, as I was attacked with renewed gusto by the site’s mosquito population. I rousted the other fellows, expressing my rather urgent need to know where they had put the bug dope. As soon as they opened their tent door, they suddenly found the motivation to get moving, too. While the tents were taken down and camp otherwise deconstructed in surely record time, I made a pot of coffee. We were on the water very shortly, seeking relief from the swarms. And then the rain picked up again. Despite appearing to be the type of rain that sticks around all day, the skies actually dried up pretty soon and we were able to relax. And the morning got steadily better. There was not another soul on the river, it seemed, and the banks were wild, without a cabin or any other sign of human visible. The early June river-bottom woods were as lush and green as anything ever is in Minnesota. A steady chorus of birdsong rang out from the banks, the soundtrack to any good St. Croix excursion. The great thing about floating a river like the St. Croix truly must be the relaxed pace of the trip. 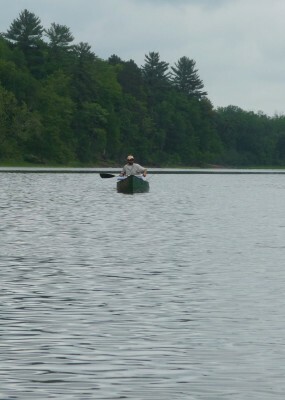 You don’t need to worry about paddling much if you’re distracted by fishing or conversation; the steady current will keep you moving just fine. While Gabe casted at every possible fish holding spot to no avail, Eric and I caught up on each other’s lives, while also finding time to solve many of the problems of the world and admire the scenery. The seven miles down to the Sand Creek Landing passed pretty uneventfully. The clouds slowly broke up. We saw some folks on shore doing trail work. A very big bald eagle soared out of trees overhead a couple times. A couple fish were briefly waylaid. After a few hours, we arrived at our take-out and the end of our short trip. We had only seen about a third of the river the park contains, not to mention the other 250 miles of federally-protected river, including the St. Croix’s biggest tributary, the Namekagon. 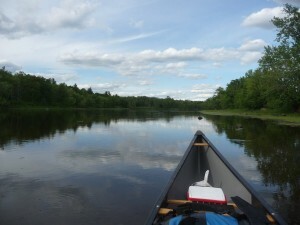 Below our takeout, the river splits into two channels for about five miles, with the Kettle River Slough containing some reportedly fun rapids as the St. Croix approaches the mouth of the Kettle. There’s a big ledge at the end of the Slough where it rejoins the main channel. We drove back up to Yellow Banks, retrieved the other car, and then loaded the canoes and gear and headed for home. Mosquitoes sneaked into my vehicle while we loaded up, and my drive was occasionally punctuated by swatting one of the little pests. 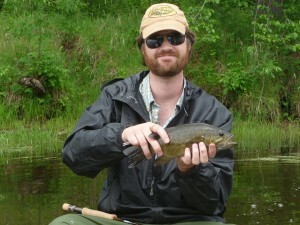 Canoeing 101 – On June 12 and August 14, St. Croix State Park is offering “St. Croix Canoe Cruise” programs. 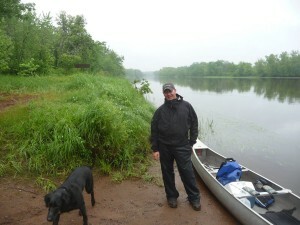 A naturalist will provide paddling basics, and then lead a 2-hour, 5-mile trip down the river. Visit the park website for more details. 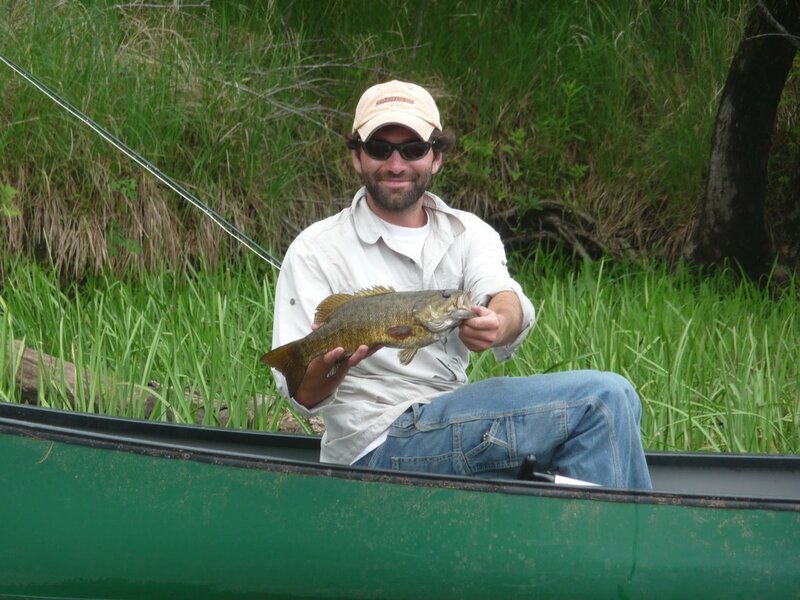 Rentals – Pardun’s Canoe Rental rents canoes and provides shuttle service in the park, as well as at its location in Danbury, WI (approx. 15 miles from the park). They can offer advice on trips of different lengths, and handle the logistics of transportation. 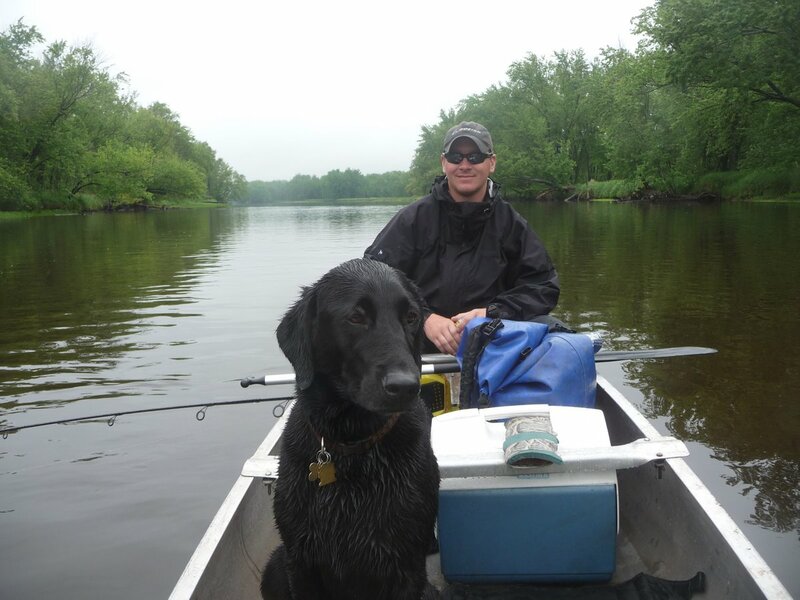 Check out the summer edition of "Minnesota Trails" magazine for an article by Greg Seitz about the plentiful paddling opportunities the St. Croix River provides. Don't get the magazine? Join the nonprofit Parks & Trails Council of Minnesota today and get your free subscription!